Everything Azita Rafizadeh said ended with this question: “What will happen to Bashir if they take Peyman away to serve his sentence?” Her trembling voice showed the deep anxiety of a mother whose young child was going to be left alone. We agreed to talk, but decided not to publish anything until she gives me the go-ahead. Back then, Azita was under the impression that if the media did not publish news about her prison sentence, which had been issued in June 2014, she would have a chance to spend more time with her son Bashir, who was 5. 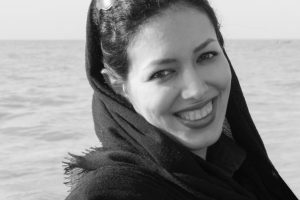 The final verdict against Azita was issued by Judge Mohammad Moghiseh of Branch 28 of the Revolutionary Court, who sentenced her to four years in prison for teaching at the Baha’i Institute for Higher Education (BIHE), an underground university run by members of Iran’s Baha’i minority, who are not allowed to pursue higher education in Iran. Azita had yet to receive a summons to prison, and she was hopeful that silence might lead to a delay in enforcing the sentence so she could arrange something for Bashir. “Any moment that I can spend with Bashir is priceless,” she told me. But last year, on October 25, three days after our Skype conversation, I received a message from Azita’s husband, Peyman Kushak Baghi. “Today they took Azita to prison,” the message said. Peyman himself had been sentenced to five years in prison for the same offence as his wife, but had yet to be ordered to prison. “How is Bashir? Is he restless?” I asked, but immediately recognized that my question was pointless. What can you expect from a child that age? But they were not favored by Islamic compassion. 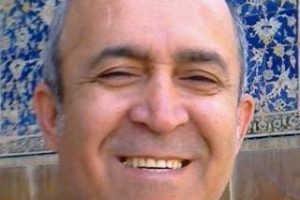 On February 28, when Peyman and Bashir went to Evin Prison to visit Azita, Peyman was unexpectedly arrested by three plainclothes agents before reaching the visiting hall, and was taken to prison to start his five-year sentence. Both Azita and Peyman were sentenced purely for their academic activities. Azita started working with BIHE in 2002 as a computer engineering instructor. Prior to that, she had received her bachelor’s degree in computer engineering from BIHE, and her master’s degree in the same subject from India’s University of Pune. Peyman also has a degree in computer engineering, and taught mathematics and computer engineering at BIHE. At that time, Bashir was 17 months old and the couple could have easily left Iran before any verdict was issued, but they decided to stay and until the last moments of their freedom they continued teaching at BIHE because they believed that they were not doing anything illegal. In May and June of 2015, they were tried individually at Branch 28 of the Revolutionary Court on charges of “activities against national security” for teaching at BIHE. Judge Moghiseh sentenced Azita to four years and Peyman to five years in prison. They appealed the ruling, but in October 2015, the appeals court upheld the verdict. Their biggest worry was what would happen to Bashir if they were to start serving their sentences at the same time. In the end, Bashir was entrusted to the care of a family that had volunteered to foster him. Now Bashir visits his mother and father in prison on alternate weeks. This was not the only voice raised in protest against the treatment of this Baha’i family. A short while later, a group of Muslim Iranians signed a petition expressing their shame and asked for the couple’s release. Azita and Peyman are not the only Baha’i couple who are spending spring in prison. At this moment, Adel Naeimi is serving a sentence of 11 years at Rajaei Shahr Prison. His wife Elham Farahani is serving a sentence of four years at Evin, and their son Shamim Naeimi is next to his father at Rajaei Shahr serving a three-year sentence. Another Baha’i couple, Iman Rashidi and Shabnam Motamed, also spent the Iranian New Year in prison. 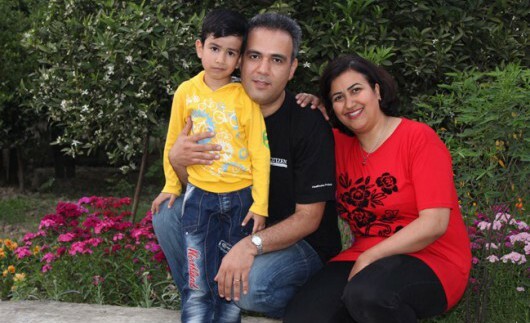 On March 19, 2015 they were transferred to Yazd prison in central Iran on charges of “propaganda against the regime” and “activities against national security.” Iman was sentenced to three and a half years in prison, and his wife Shabnam to two years. Fariborz Baghi and his wife Nategheh Naeimi, another Baha’i couple, are serving a two-year sentence in prison.